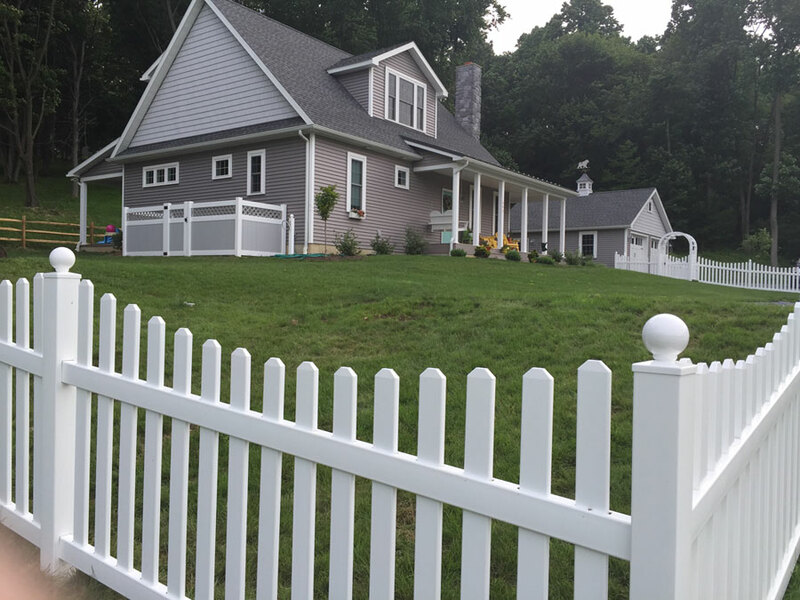 Along the front you’ll see a blue Mountain’s Concave picket fence 4’h, using 3”w dog-eared picket spaced 3” apart. The fence posts are topped with 4” ball caps. 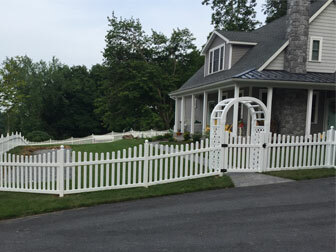 Superior’s Plymouth arbor accentuates the 4’w gate at the driveway. Along the back of the yard, 3 Rail Split Rail was installed using locust posts and hemlock rails. Weld wire was added for child/pet safety. The 3 Rail split rail fence sits roughly 4’h. Trash can/Utility enclosure is a blue Mountain’s 2 tone Classic privacy fence with lattice topper, in grey/white. The fence panels stand 5’h in total height (4’h privacy with 1’h lattice). It includes additional short post for garden hose. 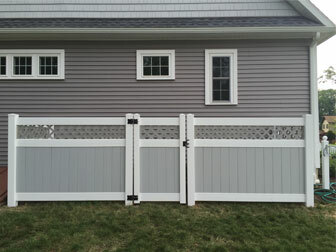 To view the brochures featuring this fence style, click on the “Fence Vendors” page in the “Fencing” drop down menu above.